A new photography zine by the one & only LADY MUSTARD releasing this Saturday! “It Never Rains In California” is a film photography journey up and down the coast of California as witnessed by the Lady Mustard (Maddison Kellie) on her solo travels this year and last. 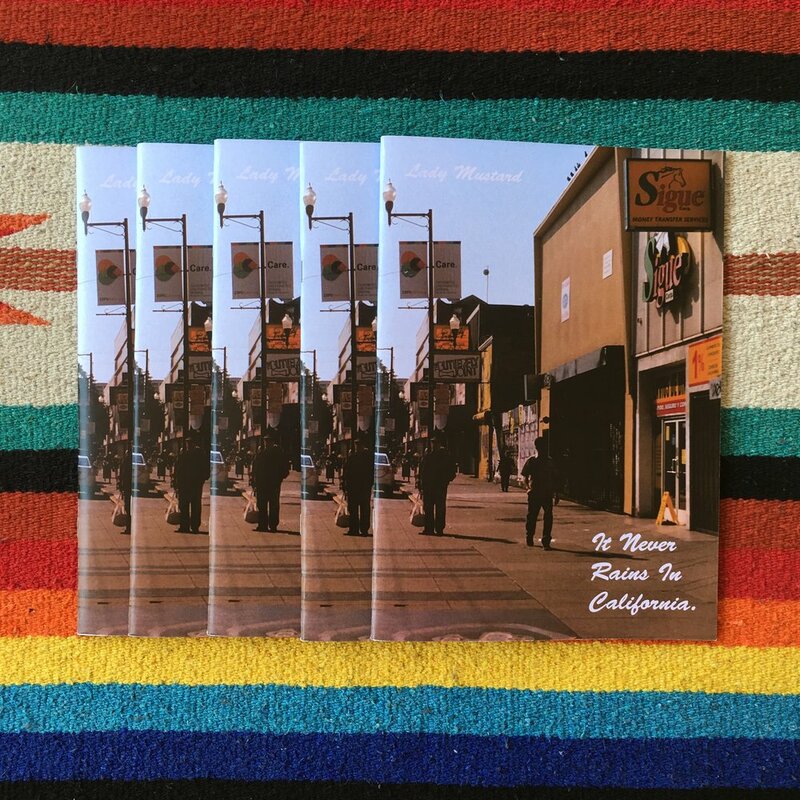 Ranging from Nor Cal trims sessions to hazy San Francisco nights to warm Malibu days, the zine is an honest presentation of the California we know and love without all the hype or dazzle. These zines are printed on quality paper stock full color in Australia and limited to 25 copies in the first edition. All signed and number by Mustard herself with each order including a pack of California wild flower seeds! We made a pretty rad zine for the LA Art Book Fair a few weeks back. Nothing too fancy just a mix of art images and photos from the crew. Here's a few images from the zine. Have a few copies left still priced at $10 each. Click here if you wanna swoop on one.